Learn to use all of the powerful features available in SQL Server 2008 quickly and easily. 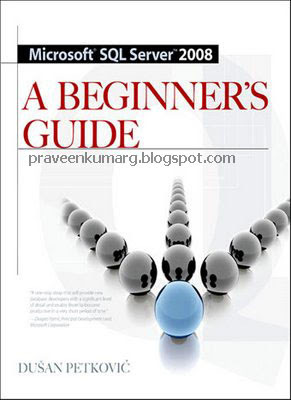 Microsoft SQL Server 2008: A Beginner’s Guide explains the fundamentals of each topic alongside examples and tutorials that walk you through real-world database tasks. Install SQL Server 2008, construct high-performance databases, use powerful Transact-SQL statements, create stored procedures and triggers, and execute simple and complex database queries.